Trading FOREX is no child’s play; you need to be sure of the reliability of the platform before investing your hard earned money into it. You must have done your findings before investing your money into the hands of any FOREX broker because some of them are scammers. 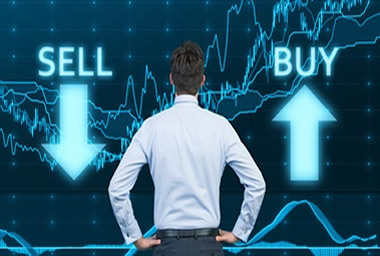 In this article you are going to see a list of the most trusted FOREX brokers and trading platform in the globe if you wish to trade. These FOREX trading platforms I am going to list out here are all free to trade in but there are minimum deposits you can make into your accounts with no hidden or special fees being charged. As a newbie in Forex trading you can make use of any of these trading platforms because they offer services to both beginners and pro traders. 5. INSTAFOREX: INSTAFOREX made the list because of its ease of use and flexibility. With as little as $1 dollar you can start trading and the platform offers 250% trading bonus, it is being regulated by FFMS. INSTAFOREX is based in Russia and operates in all parts of Asia. 4. EToro: when it comes to FOREX trading this is one of the household names you would hear. Etoro is social trading and multi asset Brokerage Company with offices in the UK, Israel, and Cyprus. You need a minimum deposit of $200 to start trading on etoro and you are entitled to a $1000 trading bonus. Etoro is being regulated by NFA and CYSEC. 3. Markets.com: this FOREX trading platform is owned and operated by safecap investments limited and are being regulated by the Cyprus security and Exchange commission. With a deposit of $100 you can start trading and earn a bonus of $25. 2. Alpari: If you are attentive on the web you must have seen adverts from this company encouraging users to come trade with them. They are an award winning company in the forex market. With $200 you are good to start trading on alpari but they do not offer trading bonus like others. You enjoy a demo account when you signup. This is one of the most secured FOREX trading platforms you can ever come across. 1. FIXPRO: Since 2006 FIXPRO has been the leading FOREX trading platform. It is being operated by FXpro UK LIMITED which is authorized by the UK financial conduct authority with registration number 509956. It is also authorized by CYSEC. This platform does not encourage you to invest on FOREX trading platforms, please do your research before committing your finances into the hands of these brokers.